With the assistance of many volunteers, the Conservation Commission oversees the maintenance of several hiking trails of varied length and challenge. 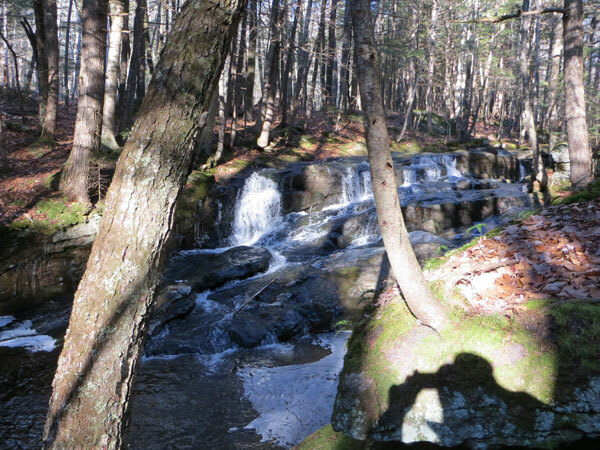 The Sunapee Ragged Kearsarge Greenway also connects with many of these trails to provide an expanded and diverse trail network in the area. 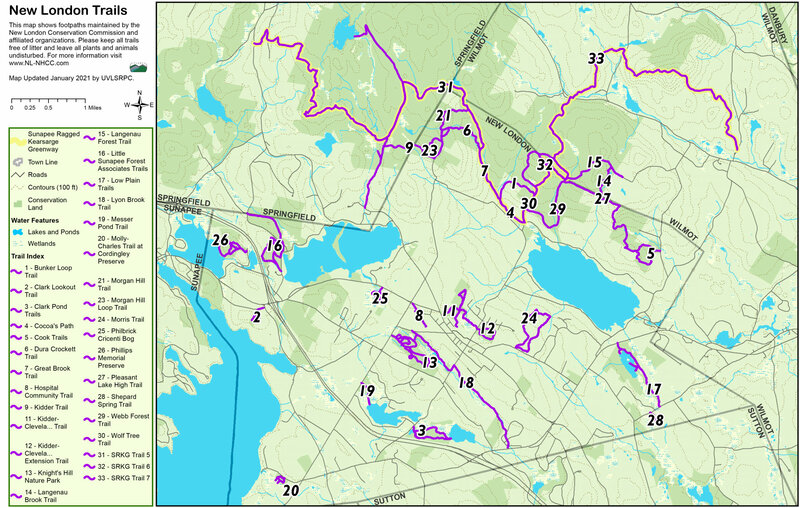 The map below reflects the trails available to area hikers both in and adjacent to New London. The trails marked on the map provide access to town lands in New London, conservation easements with public access, and private lands that provide access only along the trail corridors. 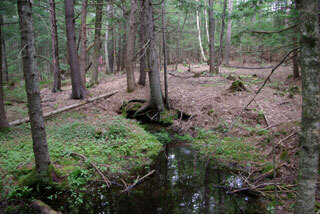 It is important to note that not all conservation easements provide for public access. NOTE: Camping on New London property is only permitted with proper authorization from the town, as per RSA 238:58. 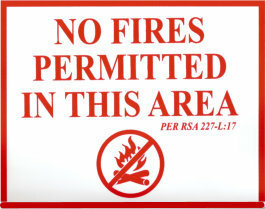 Fires are not permitted, as per RSA 227-L:17. Trail numbers correspond to locations marked on the map below. On the map, Town trails are in red; trails in green are part of the Sunapee Ragged Kearsarge Greenway (SRKG). A copy of a map showing all of the trail locations can be downloaded by clicking here. Note: Dogs are welcome on many of the trails but must be under control at all times per New London Town Ordinance. Please pick up after your dog! Leaving waste on the trail is discourteous to others and a health hazard to children. To report trail conditions that are in need of maintenance, please contact the Trails Coordinator, Mark Vernon. Please provide detailed information on the nature and location of the problem. This will help us correct the situation more quickly. Photos are also helpful. A larger (18" x 24") trail map for New London and vicinity is on sale at several locations in town including the Town Offices, the Tracy Memorial Library, Morgan Hill Bookstore, Village Sports, and Town of New London Information Booth. The greatest risk of Lyme disease is between the months of May and August when the blacklegged tick is in the nymphal stage. When walking the trails, always take steps to protect yourself and your loved ones. - Stay on trails and avoid overgrown brush and tall grass. - Wear light-colored clothing so ticks can easily be seen. - Check yourself, your children and your pets often for ticks. - Wear a long-sleeved shirt, long pants, closed shoes with socks and a hat. - Tuck your pants into your socks and your shirt into your pants. - Use insect repellant containing DEET or permethrin. - Shower after returning indoors and run clothes in a dryer on high heat to kill any ticks that may be on the clothing. Symptoms of Lyme disease in the early stages include fatigue, fever, headache, and most often, a red bulls-eye rash. Lyme disease is treatable with antibiotics, but if left untreated can lead to complications. Always see a doctor if you see evidence of a tick bite. New Hampshire Fish & Game has a Hike Safe Card, which can be purchased by individuals or families. People who obtain the card will not be liable to repay search and rescue costs if they need to be rescued. You can click here Hike Safe Card to get your card or find out more about the program. The New London Conservation Commission relies on volunteers to periodically walk the trails and report on their condition. If you've signed on to be a trail adopter or would like to get information about the duties of a trail adopter, please download the Trail Adopter Guide, which includes information on adopter duties, trail blazing, and the report form. 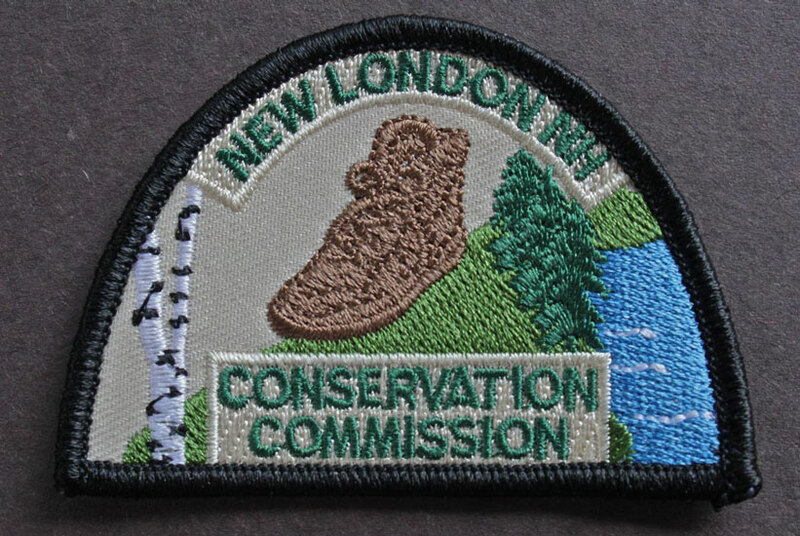 The Conservation Commission recently introduced a trail patch program available to all the hikers in the greater Kearsarge area. The NLCC maintains 26 miles of trails of varying lengths and difficulty. To receive a patch, one must hike all of the trails listed on the trail completion form, and return it to the New London Town Office. The form can also be picked up at the town office. Our thanks go out to Emma Crane, Ruth White, and others for designing the patch and for developing the Hiking Patch program.